On April 3rd of 1968, Dr. King was in Memphis, TN where he gave the renowned “I’ve been to the mountaintop” speech to a packed audience. After returning to his room at the Lorraine Motel, he was talking with several of his closest advisers when he had a moment of revelation. One of the people in that room that night was Dr. Bernard Lafayette Jr., Chairman of the Positive Peace Warrior Network. Dr. King and Dr. Lafayette were never able to finish that conversation, as Dr. King would be shot and assassinated outside of the door of that very motel the next morning. Dr. Lafayette took those words, to “institutionalize and internationalize nonviolence,” as Dr. King’s final marching orders. Working with David Jehnsen, another activist who was involved in the civil rights movement and was responsible for drafting the first proposal for the U.S. Institute of Peace, they created the Kingian Nonviolence Conflict Reconciliation training curriculum as a way to institutionalize the teachings of Dr. King and the organizing strategy that went behind the Civil Rights movement. Since writing this curriculum, Dr. Lafayette and his allies have taken this training all over the world. The philosophy has found a home in schools, prisons, police departments, governments, and community groups throughout the United States and in Colombia, Israel, Nigeria, India, Nepal and many other countries. 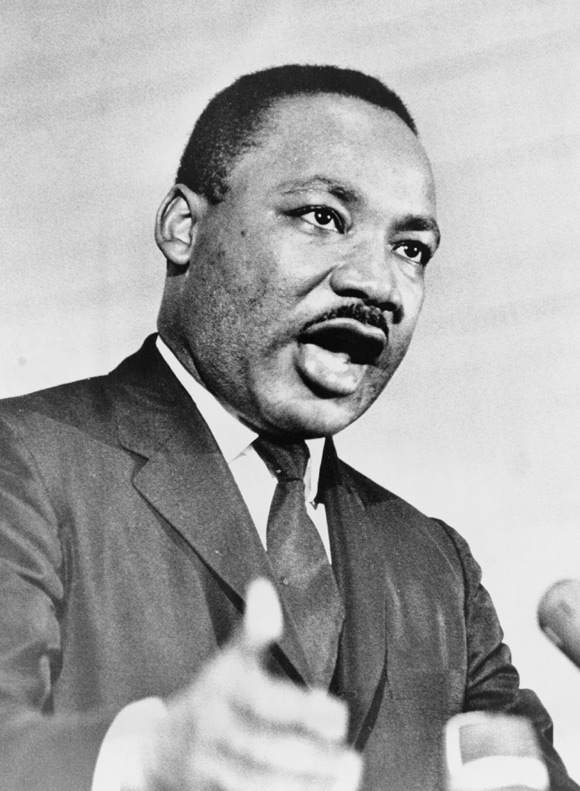 Kingian Nonviolence is a philosophy and methodology that provides the knowledge, skills, and motivation necessary for people to pursue peaceful strategies for solving personal and community problems. This approach is critical if the epidemic of violence is to be eradicated. Often mistaken for being simply the absence of, or opposite of violence, Nonviolence is, rather, a systematic framework of both conceptual principles and pragmatic strategies to reduce violence and promote positive peace at the personal, community, national, and global levels. In recent history, nonviolence has come to be recognized as a significant alternative for students, communities, and whole societies to effectively deal with the conditions they face locally, nationally, and internationally. During the 20th century, the successful social movements of Gandhi in India and Martin Luther King in the United States led to the public’s realization of completely new dimensions of nonviolent conflict reconciliation. This approach does not depend on major material or technological instruments, but utilizes skills and methodologies that people already possess. The core elements of the training are the six principles (the “will”) and the six steps (the “skill”) of Kingian Nonviolence. 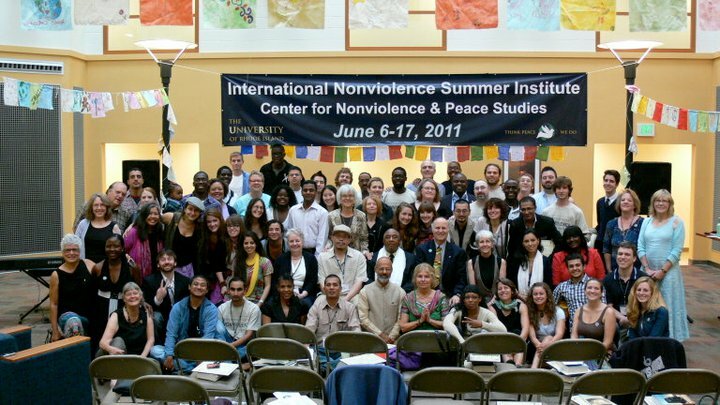 Class of 2011 Kingian Nonviolence Trainers!! This training and philosophy is useful for anyone who deals with conflict on any level. It will help you to respond in creative ways to conflicts in your personal life (family, friends, partners, co-workers), conflicts in your community (school closures, violence in your community), or larger social conflicts (racism, corporate greed). Whether the conflicts you want to transform are personal or global, conflict plays by the same rules. This training has helped teachers and students, police officers and formerly incarcerated people, regular ol’ folk and activists alike. In 2011, the annual summer institute held at the University of Rhode Island had participants from close to 30 countries, from all walks of life, all races, all age groups. Anyone and everyone will walk away with new skills. Kazu you were a breath of fresh air and needed inspiration! Any chance of getting to Boise, Idaho?